We look forward to fight for the title of world champion among women between Maria Muzychuk from Lviv and Hou Yifan from China that will take place on March 1st. Opponents prepare for the match in two different but extremely strong competition, boldly entering the fight with the world leading players. Today, on Tuesday the 14th Chess Festival starts in Gibraltar, the extreme point of Europe, where 250 masters will compete. Traditionally, the Tournament lasts ten days and gathers a very strong list of participants. Rating list opens American Hikaru Nakamura (2787), and a top ten grandmasters has rating above 2700. 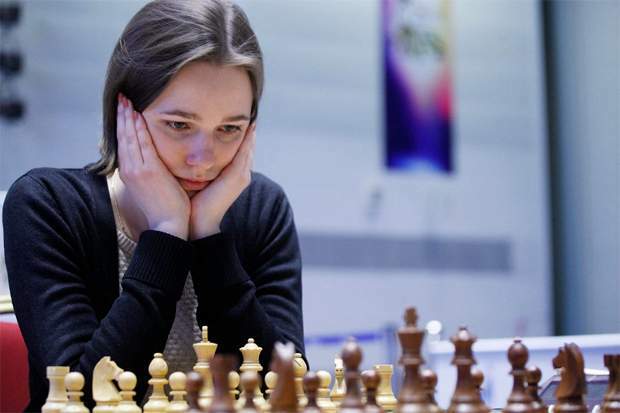 Women list is headed by world champion Maria Muzychuk (2554), ex-world champion Alexandra Kostenyuk (2550) and Mariya’s older sister Anna Muzychuk (2537). Maria Muzychuk’s rival in a match for the title of world champion Hou Yifan these days is playing in the tournament in Dutch town of Wijk aan Zee, where she lost the last two meetings (with Mamedyarov and van Wely) and after eight games is scored by 3.5 points.